In the North West of Italy, in the shadow of Mont Blanc, Zermatt and Chamonix, the long, narrow valley formed by the River Dora Baltea, is the connecting link to France and Switzerland and is Italy’s smallest wine region. 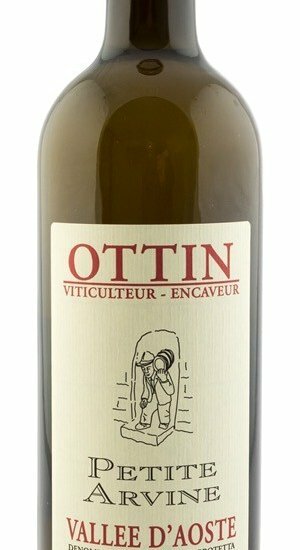 Petite Arvine is a grape that migrated from the Swiss Canton of Valais. Grown at 600 to 700 meters of altitude in rocky, sandy soils, the wine is fermented and aged in stainless steel. Petite Arvine typically has flavors grapefruit, chamomile, lime blossoms, wet stone and white floral hints. Captivating aromas and colours that convey fruit and flowers, ranging from pineapple to rhubarb, from the coolness of grapefruit to the depth of iodated minerals and stone with a hint of freshly-cut mountain herbs. It creates harmony in the mouth and memory while after swallowing the equilibrium of a full-bodied, sapid, extremely pleasant wine lingers.